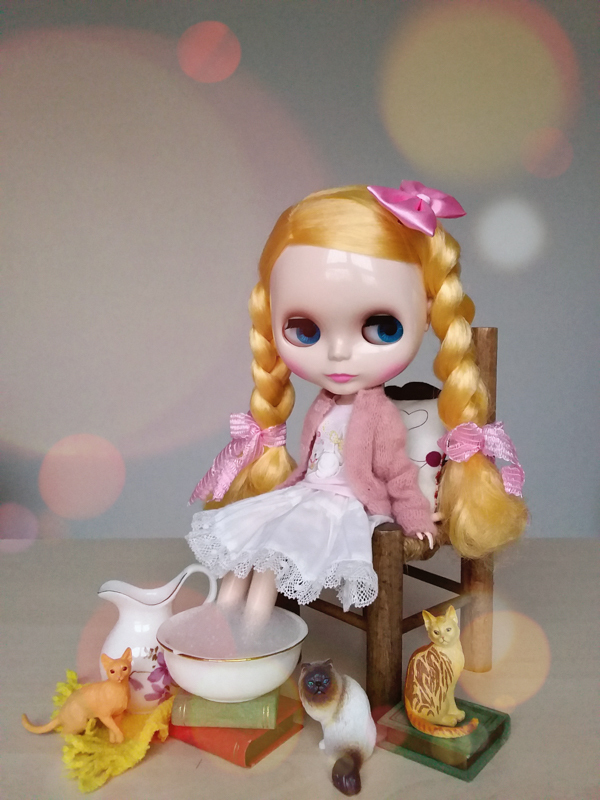 Ever since Pullip Les Secrets by Laduree’s announcement, macarons have been on Harmia’s mind. She wants to know things like how they taste, what do they smell like, and when will I buy her some. I couldn't tell her how they taste or what they smell like because I haven't tried them myself before. And there was no way I could get her the Laduree macarons seeing how I’m unable to hop onto a plane and visit the French tea house and pastry shop . . . Since I didn't want to let her down I came up with the next convenient option in answering Harmia’s questions. Buying her macarons from the Dallas, TX shop, Chelles Macarons. It's an hour or so away from my house, no plane ticket or passport needed. I planned to split the macarons: 3 for me & 3 for Harmia. Well, that plan didn’t work. 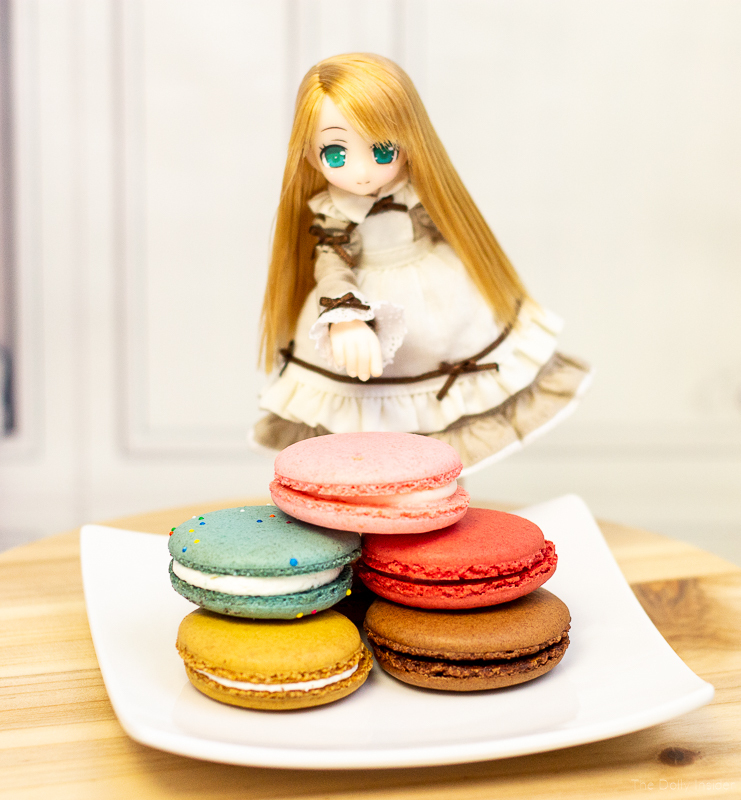 After our photo session, Harmia ended up grabbing all 6 macarons and leaving me with a few nibbles from the Birthday Cake macaron. The macarons are so tiny and colorful. They make for fun dolly photo props & when you’re done you can eat them! But, I am curious if these “Texas” varieties taste like the ones from France? Well, if I ever get a chance to travel to France I’ll have to make a trip to Laduree to taste & compare. 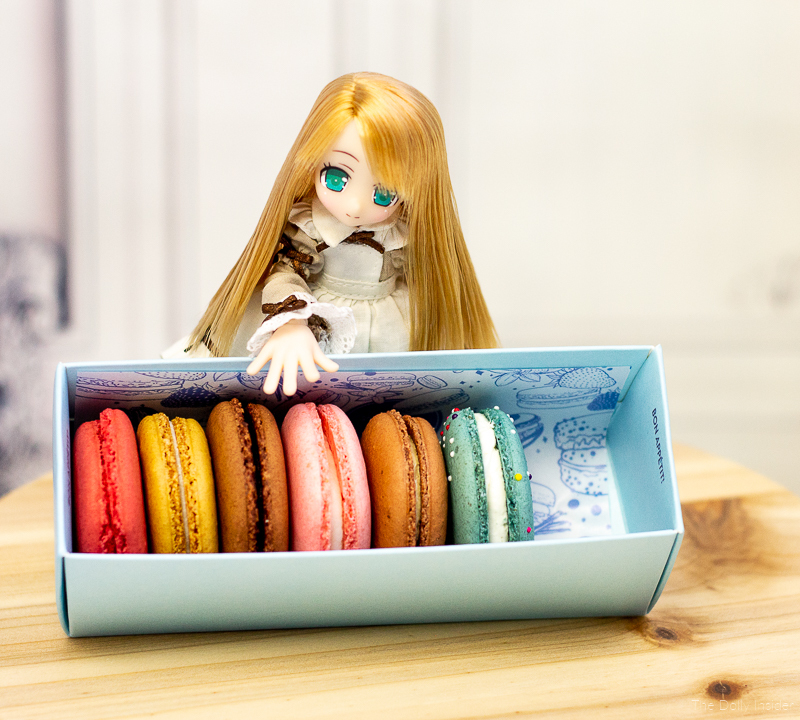 Have you & your doll tried a macaron before? 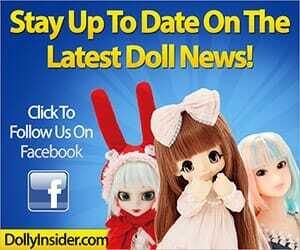 If so, which flavors do you like & which flavors does your doll like the best? Not in love with macarons? What’s your favorite dessert. 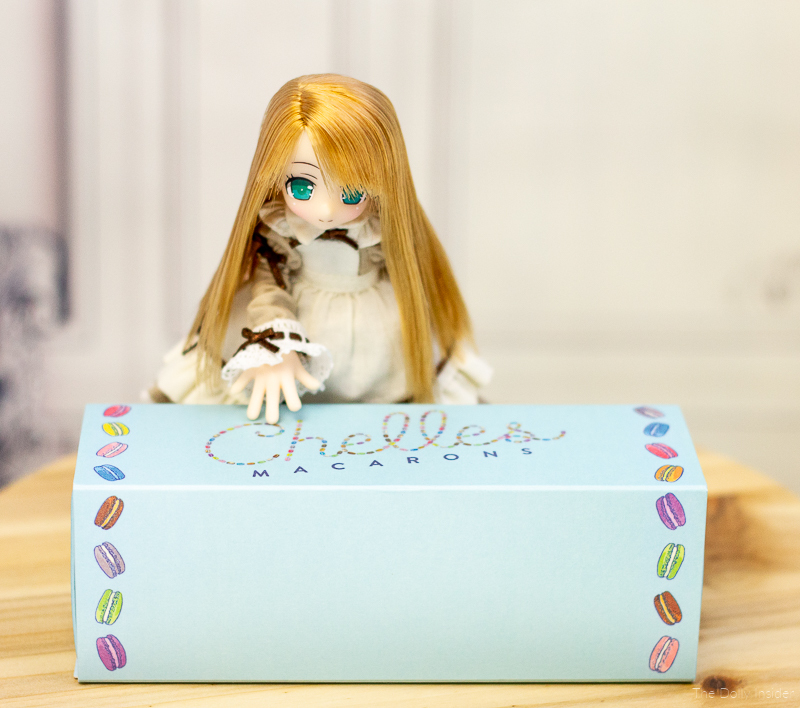 If you have an image of your doll enjoying macarons or any tasty treat we’d love to see it. 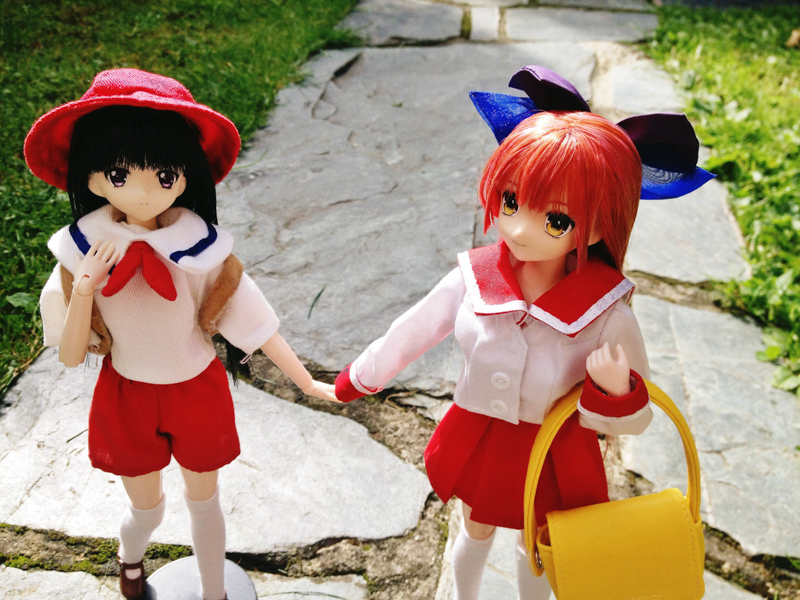 Share you image of Dolly, Sweets and Treats here! Harmia and I are looking forward to chatting with you. I have been fortunate enough to have had macarons from both the Paris and the NYC Laduree. The flavors I can remember trying are orange blossom, cherry blossom, vanilla, green tea, salted caramel…. I don’t remember the others. They are delicate, light, airy, sweet, with the thinnest crust. Definitely a must try for anyone that hasn’t had them yet. They are not my go to treat, I prefer frosted brownies or loaded oatmeal cookies, but they are a nice rare splurge as they are very expensive. After having them in Paris I deliberately tried others but they seem more dense somehow like the batter didn’t rise quit right. And I read that it is very tricky to bake them. I hope you all have the opportunity to try them one day. Thank you for sharing your experience with macarons from Paris and NYC Laduree. The flavors sound delicious. I hope to try them some day. I’m hungry for those “frosted brownies or loaded oatmeal cookies” you mentioned. It was a pleasure chatting with you about macarons. Oh these are really tasty treats, I love them, but only eat them on rare occasions. When we shop at our local Ikea store, we call into a little café near by and I have one with my coffee. 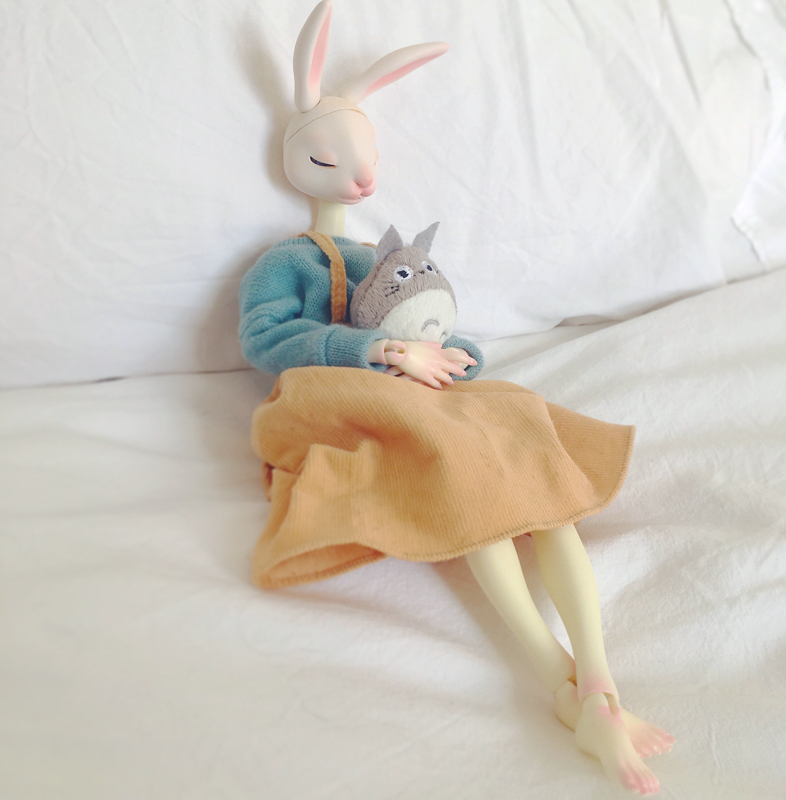 I did purchase some tiny ones frm Etsy for my dolls…they love them too! 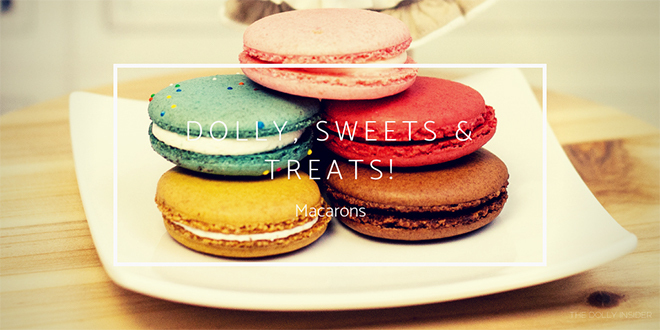 Oh, tiny dolly macarons. I’ll have to checkout Etsy. Harmia can have macarons year round. She’d like that. I admit I bought the Barbie box from Goldbelly and paid as much for the shipping as the box of macarons. They shipped with a cold pack and a couple of the macarons got damaged where the top cookie part kind of stuck to the protective plastic shell. The box smelled delicious and they were good. My favorite macarons have been from Vanille Patisserie in Chicago and Sugar Fixe in Oak Park, IL, which I haven’t been able to get to either in a long time. Thank you for the information about Laduree and Goldbelly. Vanille Patisserie and Sugar Fixe sounds so tasty. Thank you Stacy for stopping by and sharing your favorite macarons and for the awesome info about Laduree and Goldbelly. P.S. The Barbie – Box of 8 Macarons looks so cute & tasty! French macarons are my favorite! But kinda expensive here in our country. You bring up an interesting idea of baking treats. I saw an online course called Miniature French Desserts where they teach you how to bake desserts. I hope Harmia doesn’t read this comment later. I haven’t told her how people can bake their own sweet treats at home. I rarely bake anything besides cookies. I get nervous when it comes to baking sweet treats. I’m afraid I’ll ruin the whole thing. So I buy most of my desserts. Maybe someday I’ll be brave enough to try something beyond cookies. Yum! chocolate cake and Tiramisu. I haven’t tried Tiramisu before. Seen a lot of pictures though. Uh oh, I shouldn’t have said “Yum! chocolate cake and Tiramisu” out loud. Because now Harmia’s sneakily peeking at my screen. Thank you Sara for taking the time to chat with me & Harmia about Macarons. I had no idea how manipulative that cute Lil’ Fairy can be.